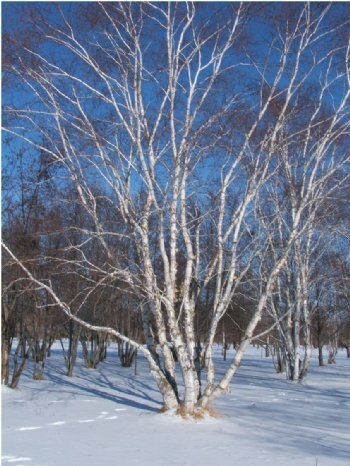 PAPER BIRCH – An upright to pyramidal growing tree becoming rounded with age. Grown as a single or multi-stemmed plant. 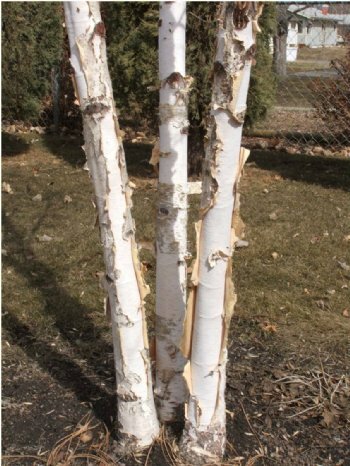 Bark copper to red brown color when young, becoming white to creamy white after 3 to 4 years. The bark often peels and rolls on older plants. May reach 40 to 65 feet in height on favorable sites with evenly moist, well drained soils and full sun. Best to locate this birch on a planting site where the roots remain cool and are mulched to prevent plant stress. Susceptible to bronze birch borer when stressed.